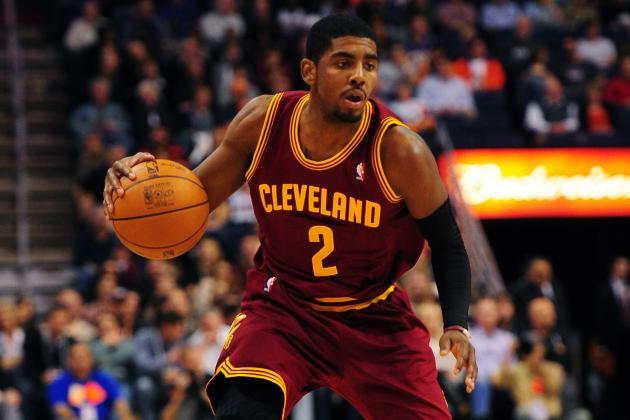 The Cleveland Cavaliers looked set for a return to the postseason after making some big offseason moves. However, locker room unrest and under performing recruits saw them fall short of the playoffs for the fourth year in a row. The Cleveland Cavaliers were another Eastern Conference team that entered the season with playoff aspirations, but fell agonisingly short of the mark. The Cavs improved for the third consecutive season, but still struggled to a 33-49 record – the sixth-worst in the East and ninth-worst overall. While they struggled to stop other teams from scoring last season – finishing 25th in points per game against and 27th in defensive efficiency – it was on the offensive end of the floor where Cleveland had issues this season – ending the season 22nd in both points per game (98.2) and offensive rating (104.2). Much of Cleveland’s offensive struggles came within the three-point line, finishing the season ranked 29th in two-point field goal percentage at 46.1%. Meanwhile, they failed to cover opponents on the three-point line, giving up a league-worst three-point makes and attempts. And despite their size down low, Cleveland was the second-worst team in the league protecting the rim, blocking just 3.7 shots per game. Cleveland’s biggest offseason signing Andrew Bynum was a complete failure, ending his time with the Cavs averaging 8.4 points and 5.3 rebounds per game and was locker room distraction from day one. Bynum managed only 24 games (playing over 30 minutes just once) before being shipped to the Chicago Bulls with picks for Luol Deng. Deng proved to be a much more valuable contributor, averaging 14.3 points, 5.1 rebounds, 2.5 assists and 1.0 steals through 40 games. However, he never seemed to be the player he was during his time with the Bulls. The Cavs also added Spencer Hawes from the Philadelphia 76ers at the deadline, who gave them 13.5 points and 7.7 rebounds per night, while also proving to be a valuable stretch five, hitting a team-best 44.8% of his attempts beyond the arc. However, even the presence of Deng and Hawes on the roster was not enough to push Cleveland into the playoff picture. Kyrie Irving again struggled to play out a full season, managing only 71 games – while this was a career-best for Irving, he still missed crucial stages of the season. Fellow guard Dion Waiters again showed flashes of brilliance – most notably in his epic shootout with Tim Hardaway Jr. in the Rising Stars Challenge – and improved on the stat sheet (15.9 points and 3.0 assists per night), but managed only 70 games thanks to various injuries and team-imposed suspensions. Tristan Thompson (11.7 points and 9.2 rebounds) seems to have hit his ceiling, while Anderson Varejao (8.4 points and 9.7 rebounds, 65 games) again struggled with injuries and failed to reach the All-Star form he showed early last season. Veteran forward CJ Miles (9.9 points, 39.3% 3FG) provided solid bench scoring occasionally. However, offseason recruit Jarrett Jack failed to regain the touch he had last season with the Golden State Warriors, his numbers falling to just 9.5 points and 4.1 assists per game with the Cavs. Likewise, second-year big Tyler Zeller (5.7 points and 4.0 rebounds) did not add much in limited minutes. Australian rookie Matthew Dellavedova (9.6 points and 5.3 assists per 36 minutes) added depth in spot minutes, but did not set the league on fire. He did miss a crucial eight-game stretch late in the season, but when he did play, Irving was by far the Cavaliers best player. The former first overall pick finished his third season in the Association averaging 20.8 points (14th in the league), 6.1 assists (16th), 3.6 rebounds and 1.5 steals. His scoring was slightly down from last season’s career-high 22.5 PPG, as was his shooting percentages (dropping to 43.0% FG and 35.8% 3FG from 45.2% and 39.1% respectively last season), but considering the lack of any other scoring threat and the size of the offensive burden Irving had to carry (11th in the league in usage rate at 28.2%), it is hard to lay blame on the third-year guard. It was a disappointing season for the Cavaliers, and by Irving’s lofty standards, but he did shine bright on several occasions, flashing his late-game gonads against 76ers and taking home All-Star MVP honours in his second All-Star game. 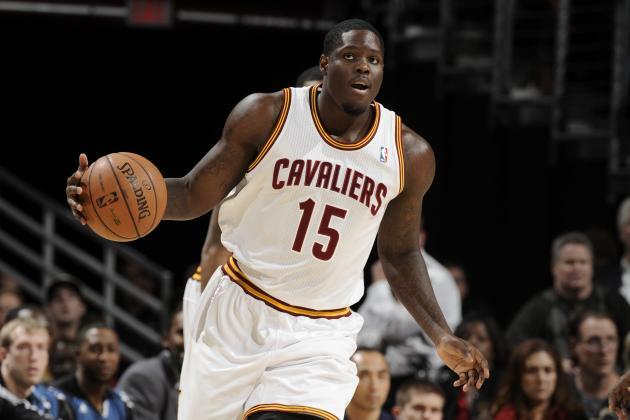 Anthony Bennett’s NBA career got off to an astronomically bad start. The first overall pick in the 2013 draft missed the first 15 shots of his career, became the first No. 1 selection to miss the Rising Stars Challenge since Kwame Brown, and through mid January boasted a PER of 1.1 – 10.1 points less than the aforementioned and universally accepted bust Brown in his rookie year. Bennett’s struggles summarise the narrative of Cleveland’s season pretty well – a year full of promise and potential that unravelled quickly, and despite a small late-season revival, failed to meet expectations. It is important remember that Bennett is still only 20 years old – born just three months before Michael Jordan won his sixth NBA title – and entered the season out of shape after carrying an injury into the offseason. With a proper preseason under his belt – and with another first overall pick taking the spotlight in Cleveland – expect Bennett to improve next season. Much like the Cavaliers will be expected to do as a whole. 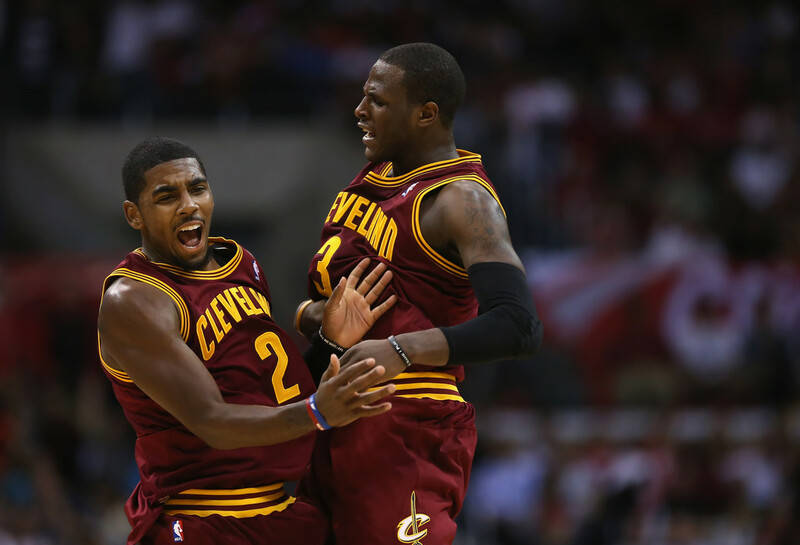 The Cleveland Cavaliers could very well be the luckiest team in sports. All the talk of tanking as an effective strategy to earn valuable position on the draft board was all but shattered by the Cavs jumping into pole position despite their 1.7% chance to do so. Winning this year’s draft lottery gives Cleveland their third first overall pick in just four years – none of them coming with the best odds in the lottery (2.8% in 2011 and 15.6% in 2013). After sending shockwaves throw the arena after selecting Bennett last season, Cleveland opted for a far-less surprising choice this time around, picking Kansas freshman Andrew Wiggins to kick off the draft. 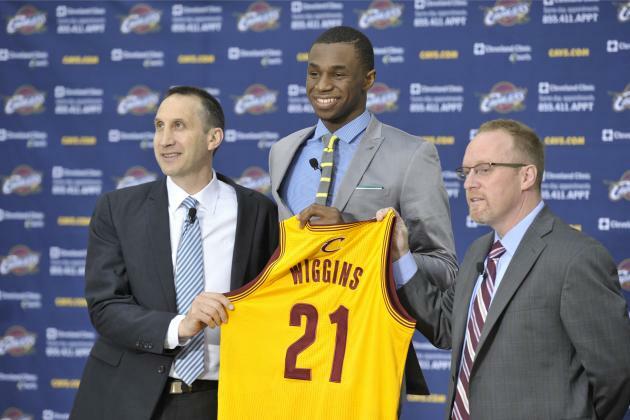 Wiggins, a Canadian native, is an otherworldly athlete with an elite two-way ceiling and best suited the structure of Cleveland’s roster. Jabari Parker, who was quickly snapped up by the Milwaukee Bucks with the second pick, may have been a more NBA-ready option, but Wiggins fills the Cavs’ need for a defender on the wings and is not a ball-dominant player, so it is unlikely he butts heads with either Irving or Waiters. That said, Wiggins is still an intriguing offensive prospect. In his lone season with the Jayhawks, he averaged 17.1 points per game and shot 44.8% from the floor and 34.1% from downtown. There is plenty of room for Wiggins to grow, and if his flashes of scoring brilliance at Kansas are anything to go by, he could develop into one of the league’s best two way players. Meanwhile, the Cavs also potentially have two more first round picks heading their way in 2015 – via the Memphis Grizzlies if that pick falls between pick 6-10, or via the Miami Heat if it falls after the top 10. Cleveland also has several tough calls to make on the makeup of their squad for next season. Deng, Hawes, Varejao (team option for $9.8 million) and Miles all come out of contract. Aside from Varejao, each is also an unrestricted free agent, which could drive the price up for the Cavaliers. Regardless, Cleveland is armed with young talent and valuable picks, perhaps next season will finally be the year they grasp their full potential and return to the postseason.